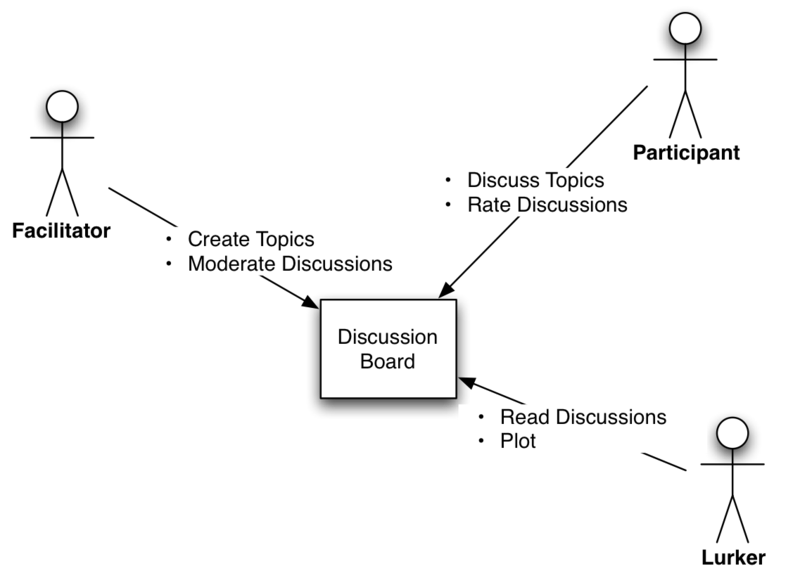 We use a system context diagram in the early stages of our Investigative Architecture™ process. It provides a high level functional view of a system and, while it is very powerful for the early stages of functional design, it also ensures you have identified any functional needs that impact the non-functional, or architectural, aspects of the design. The diagram helps us quickly understand an existing system or define a “to be” system, by defining the ways users will rely on it. 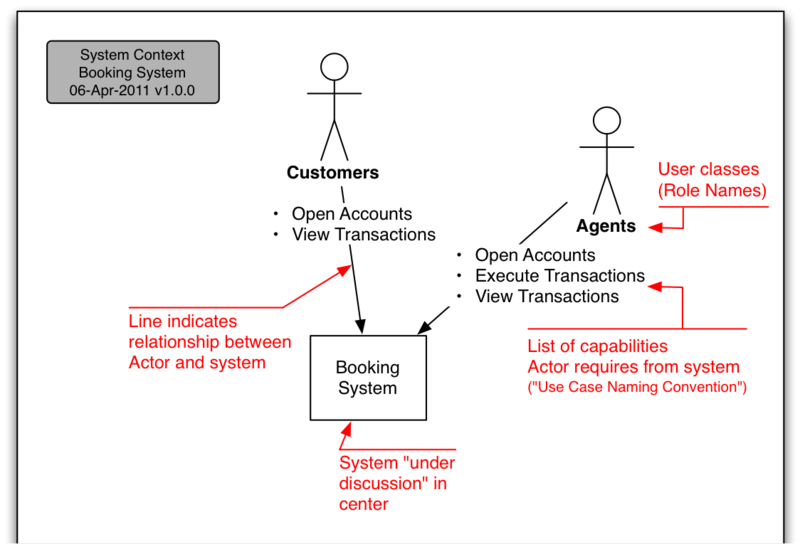 Basically, it defines the capabilities of the system in the middle of the diagram by capturing the expectations that the users have of it. It is very understandable to business stakeholders. It reinforces to the business stakeholders that you care about, and eventually confirms you understand, the business needs that the system being designed is intended to fulfill. It helps identify all the impacted business stakeholders, so you can ensure you include the right people in architecture reviews. It catalogs the capabilities or high level Use Cases for the system, which can be a great input to more detailed business requirement activities. It’s fun, easy, and effective! The System Context Notation was introduced in 2003 by Alexander Kossiakoff and is part of a “structured analysis” approach to analyzing business needs and converting them into specifications. We will be digging into some more aspects of this notation in future articles. For the full presentation we gave on this topic last year at the Cannes Open Group Conference, feel free to download a PDF of Understanding Systems in a Business Context. For more tips, check out our related articles on Goal Oriented Diagrams, Investigative Architecture™: Reading the Tea Leaves of Your Enterprise, or our other articles on diagramming. Please contact us if you’d like to learn more or we can assist you in any way!